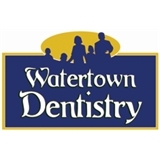 Watertown Dentistry (Chelsea) - Book Appointment Online! Watertown Dentistry offers a full range of dentistry encompassing Prevention‚ Restorative & Cosmetic Dentistry‚ Our Dental Associates are committed to provide a satisfying service with highest quality and care. We believe your needs are unique and for this reason we evaluate and customize a treatment plan. We take time to answer all of your questions and provide you with important information and explain all procedures before and throughout your visits. You can feel confident you’re receiving the most outstanding care available with your utmost satisfaction in mind.